Pets will not re-urinate on carpet areas sprayed with No-Go. Pet Organics’ No-Go was developed after years of extensive research to aid in the task of housebreaking pets. 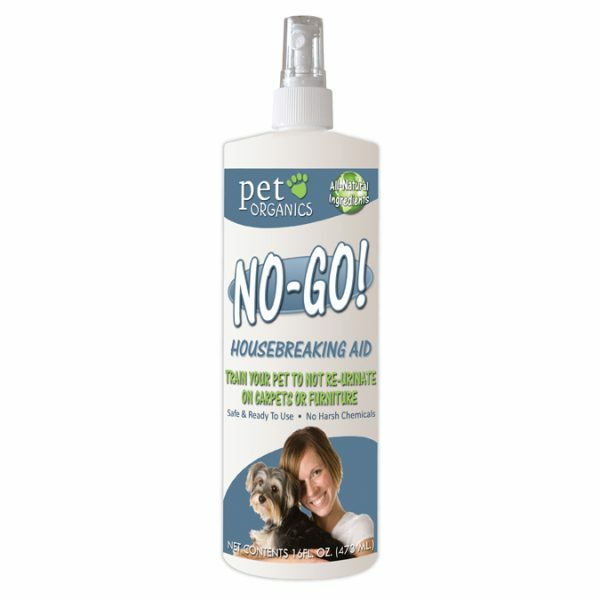 After cleaning the pet-soiled areas, No-Go is sprayed onto the spot. No-Go has a slight fresh fragrance.